A large number of domains today require end users to compose various heterogeneous computational entities to perform their professional activities. However, writing such end user compositions is hard and error prone. My research explores an improved approach for design, analysis and execution of such end user compositions. I propose a new technique called ‘end user architecting’ that associates end user specifications in a particular domain as instances of architectural styles. This allows cross-domain analyses, systematic support for reuse and adaptation, powerful auxiliary services (e.g., mismatch repair), and support for execution, testing, and debugging. To allow a wider adoption of this technique, we have designed a framework that can be instantiated across a large number of domains, with composition models varying from dataflows, pub-sub, and workflows. 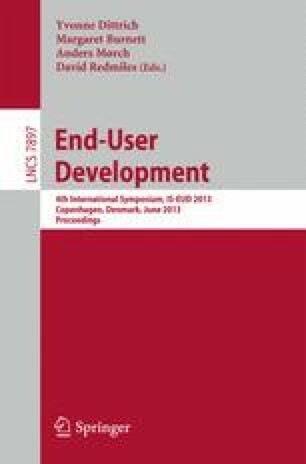 This approach can reduce the cost of development of end user composition platforms (compared to developing them from scratch) and improve the quality of end user compositions.